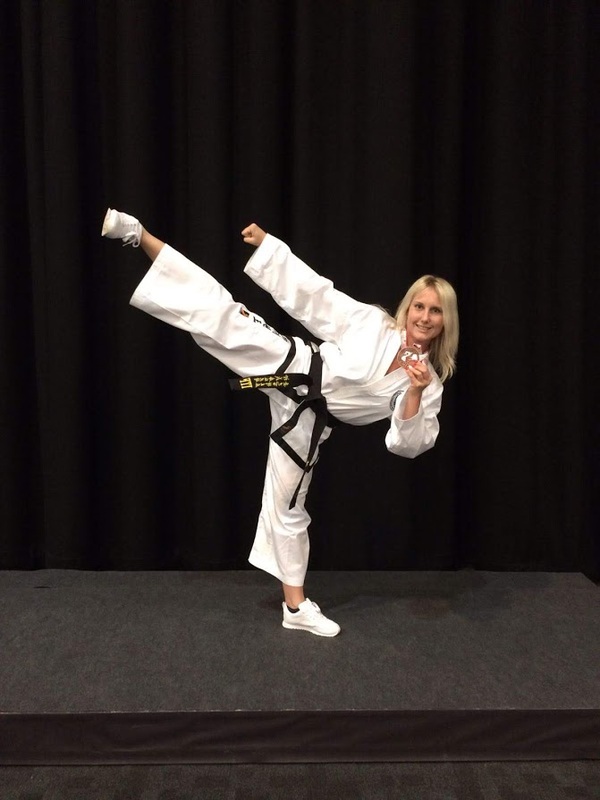 Master Andy Whiteley was a comparative latecomer to Taekwon-Do. With a background in Judo he started training in Reading with Grand Master Paul Cutler in 1984 before promotion to I Degree in 1988. Gaining his first international medal success at the 1990 World Championships in Canada he continued at World, European, and National level competition until 2006. As the England Team Captain 1994-98 he progressed to the position of Head Coach until 2006, performing demonstrations for HRH The Queen in 2002, and HRH Princess Anne in 2004. 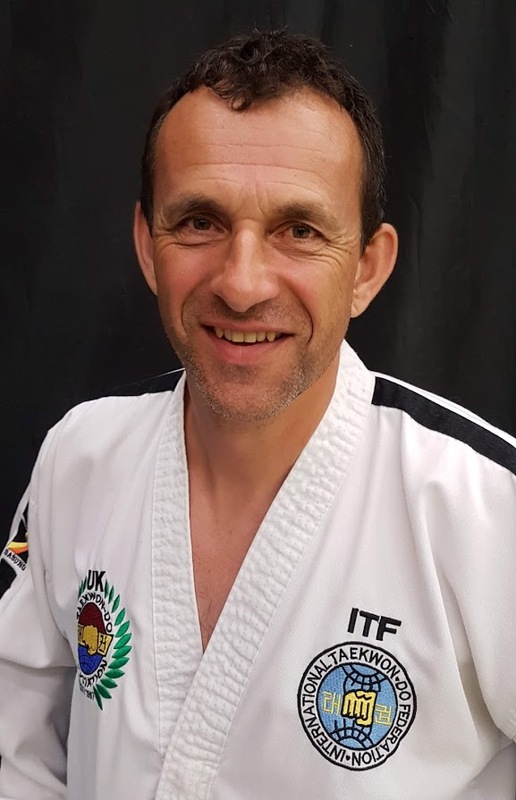 Achieving Master status in 2007 with First Grand Master Rhee Ki Ha, he accepted the position of ITF France Technical Director for which development he is still committed. 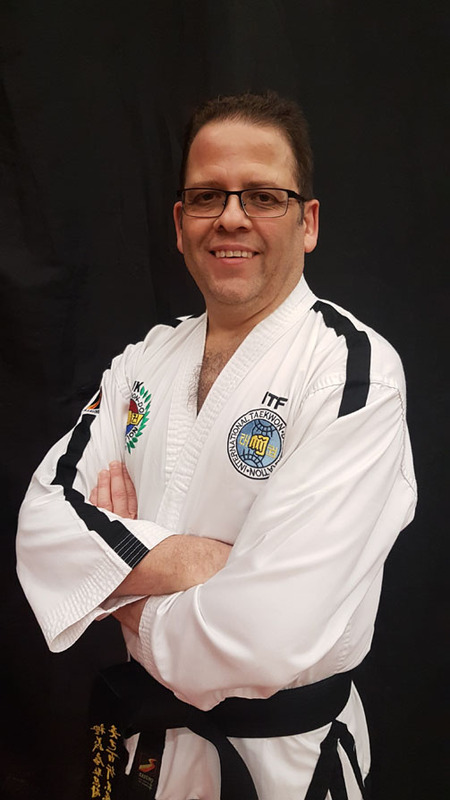 As an International Instructor and Umpire he continues to lead Thames Valley Taekwon-Do, its students and instructors into the future. Mr Kevin Pilkinton has been training at Thames Valley since 1991 achieving V Degree in 2007 with First Grand Master Rhee Ki Ha. His precise approach and in depth knowledge to performing all aspects of technique is an inspiration to all students and instructors alike. His teaching responsibilities at Thames Valley are focused on classes for Advanced/Elite levels. As a National Class A Umpire he attends most UK competitions as an official referee. 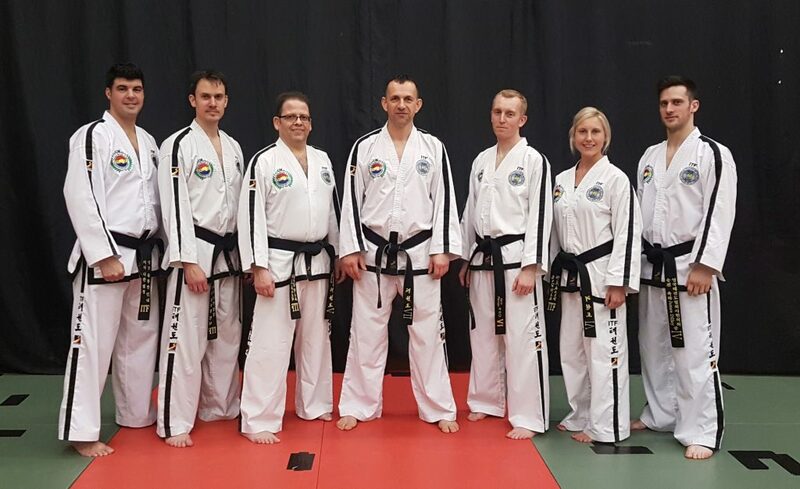 Mr Laurence Hand began training on the first day that Tae Kwon-Do came to Reading in November 1982 and became one of the school’s first black belts in 1986. He was promoted to 4th Degree by the founder of Tae Kwon-Do, General Choi Hong Hi, in 1993 and to 5th Degree by First Grandmaster Rhee Ki Ha in 1997. After a hiatus of 11 years, Mr Hand resumed is Tae Kwon-Do career in 2012 (it’s never too late to come back). Over the years Mr Hand’s main passions have been for patterns and special technique power test, in which he regularly competed and won medals at national level. 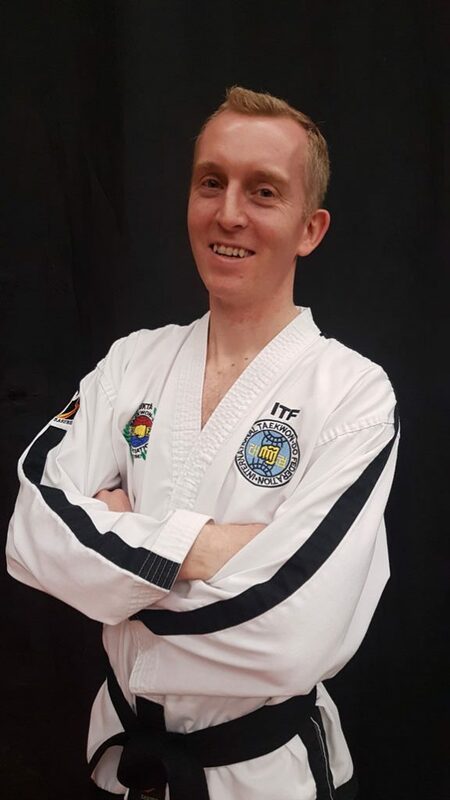 Currently his teaching responsibilities are typically technical training (patterns and fundamental movements) at both coloured belt and black belt level, both at Rivermead Centre, Reading and St Crispin’s Centre, Wokingham, with a particular focus on the family session on Saturday mornings. Mr David Tee is responsible for training both senior as well as junior classes at Rivermead. 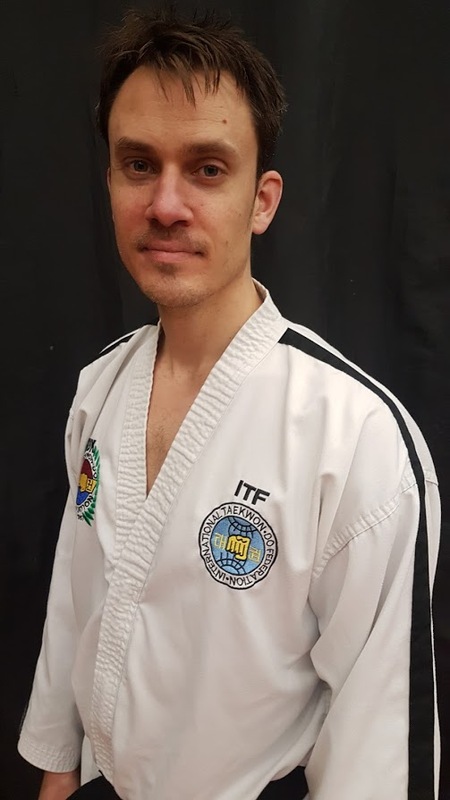 With a varied Martial Arts background including Ninjitsu he enjoys every aspect of teaching and performing Taekwon-Do technique with explosive effect, especially power breaking. Gaining his IV Degree with First Grand Master Rhee Ki Ha in 2011 he is also a regular on the national competitive circuit as a National Class A Umpire. Mr James Dilley began training in 2003 achieving black belt status in 2010. As a prolific individual colour belt medal winner at national level he was awarded UK Senior Overall Colourbelt Champion 2010. 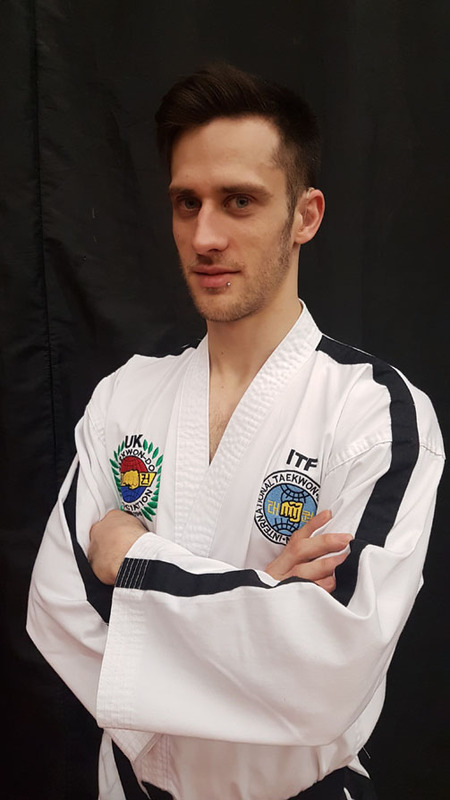 He then progressed to black belt and further international competitive success with a 4Nations England team Gold in 2010, followed by individual Bronze in Estonia 2011 at the European Championships. With a superb level of fitness, powerful and accurate technique, he covers all areas of instruction for Thames Valley. 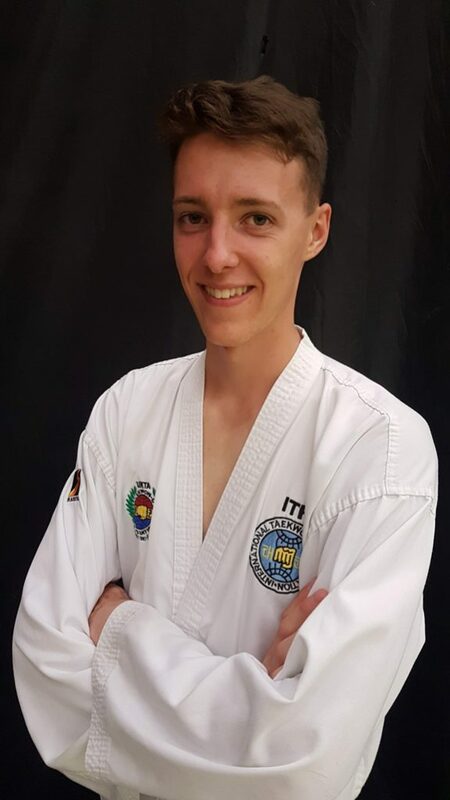 Mr Spencer Brooks began training in 2002, from the age of 4, with Bytomic and then Spirit Tae Kwon Do. Promoting to 1st Dan Black Belt in 2008 before joining Thames Valley in 2009. He has competed at national level since the age of 5, achieving medals in Patterns, Sparring and Special Technique. As of January 2018 he has been attending ITF England Squad Training. In 2016 he received the Inspiration Award at the Reading Sport Awards for his teaching and coaching in the under 14s classes and competitions. 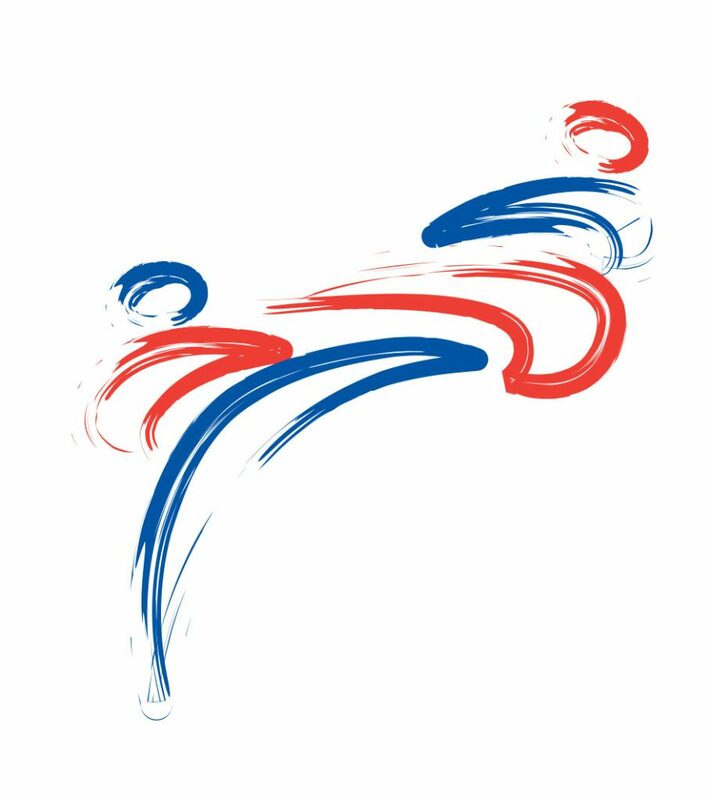 Currently holding a Class C National Instructor Qualification, he regularly assists and teaches the U14s in technical and sparring classes. In September 2015 Spencer was promoted to III Degree Black Belt by Grand Master John Williamson.